It’s hard to believe that Rex’s third birthday is fast approaching. I swear, I blinked and he transformed from a tiny (well, not really tiny… 8# 15 ounce) newborn into a walking, talking, opinionated, silly, loving little kid. I am in awe of that little kid. While I am completely grateful for the great privilege that is watching him grow, learn and become who he is supposed to be, I am simultaneously humbled and overwhelmed by the great responsibility that comes with being his parent. After all, It is my job to nurture his mind, body and spirit so that he CAN become who he is supposed to be. What I already know is that I cannot protect him from everything and he will not always abide by my rules or heed my warnings. 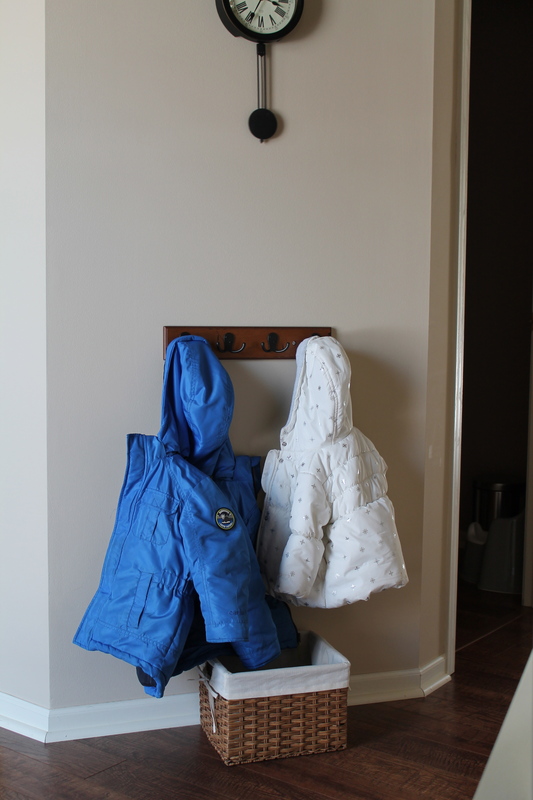 We hung coat hooks at his level and placed a basket below for other outdoor essentials. It is his responsibility to hang up his coat and put away his gear because they are his. It would be a disservice to do something for him that he can do for himself. And I have started allowing him to slice his own apples (with supervision). 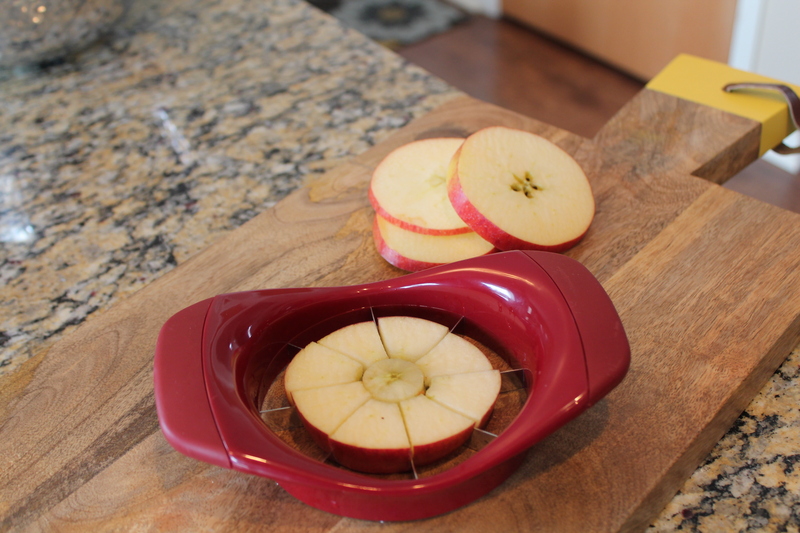 I cut the apple in slices, and he then cores them with the slicer. The pride that shines through his toothy grin while enjoying a self-prepared snack makes my heart sing.